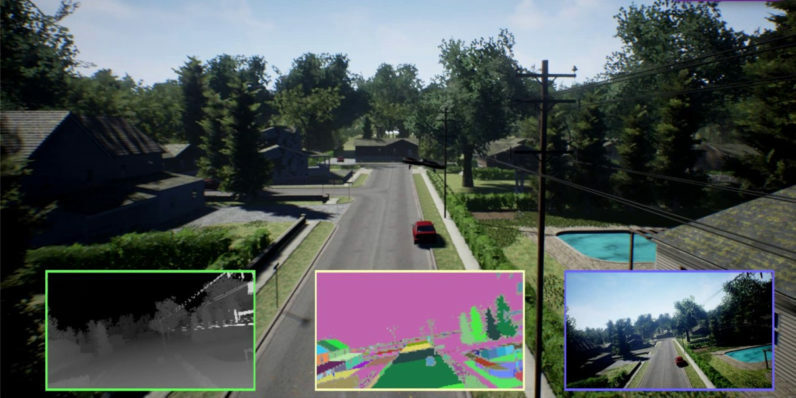 With that in mind, a team of researchers at Microsoft have built and open sourced a simulation tool to help people train autonomous cars, drones and robots learn how to avoid obstacles just like they would in the real world. It’s called the Aerial Informatics and Robotics Platform, or AirSim for short. Available for Linux and Windows, it lets you generate a random environment to train your bot or vehicle, experiment with various models and test in a range of scenarios right in your workshop. It’s worth noting that the software isn’t designed to entirely replace real-world testing, but rather to complement it by allowing you to simulate a wide range of experiments on demand and as many times as necessary. While AirSim supports controls for DJI and MavLink-based drones out of the box, it’s been designed to eventually accommodate other autonomous vehicles, hardware platforms, and software protocols by simply adding modules to the software. If this sounds like something you could use for your next crazy hardware project, give AirSim a go by grabbing it from this GitHub repository.